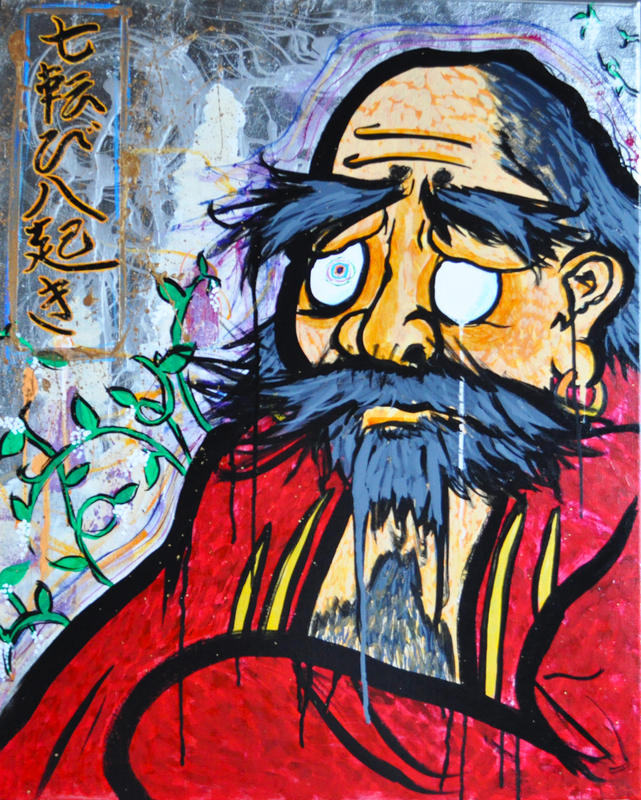 “Seven Times Down, Eight Times Up” is based on Japanese popular culture surrounding Daruma (like the Daruma dolls you see in many Asian businesses) and the symbolism that follows. 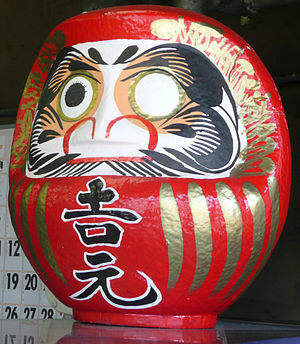 Traditionally, the Daruma doll is acquired with both eyes left blank. When the owner (usually a business owner) sets a firm goal, that person would paint in the right eye. Once the goal has been successfully reached, that person paints in the left eye. 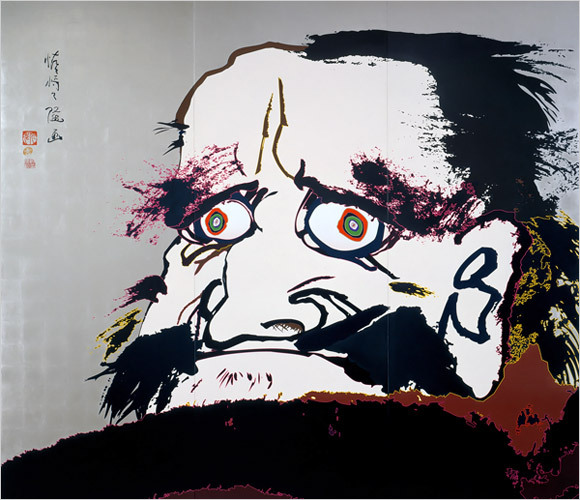 This painting is representing the likeness of Daruma himself, but with his right eye painted in only. Emotional tension exists in this painting, only perhaps because he has set a goal but has yet to reach it. Despite the somber feel, there is still hope because this particular Daruma will one day reach that goal and have his other eye filled in. 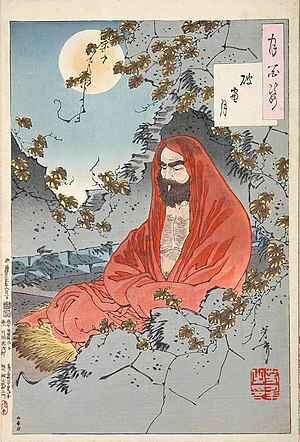 The title is a Japanese proverb that relates to making mistakes but getting back on your feet and learning from it while overcoming obstacles (hence the fact that those Daruma dolls roll back when pushed but rises back up again).